Before using Spam Arrest, over 90% of our customers tried a spam filter on their inbox, yet spam still got through. 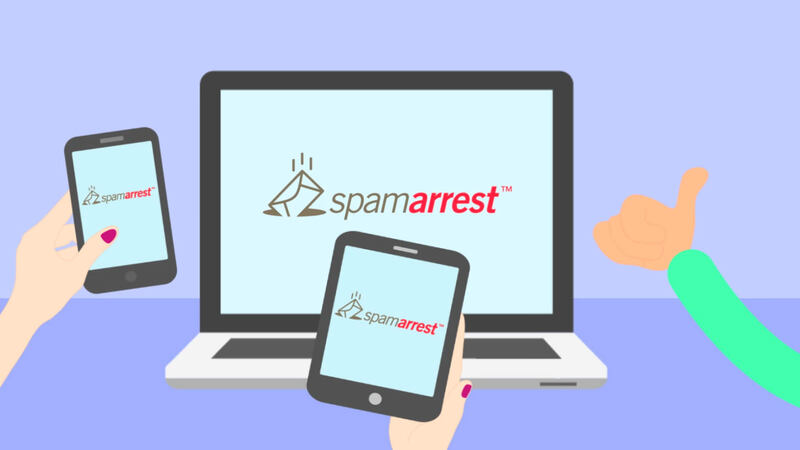 Spam Arrest protects your mailbox from 100% of spam with a patented method for verifying relationships between you and your valued contacts, making email safe for everyone. Take Control of Your inbox with our 30 Day Free Trial! "It was enormously satisfying to know that this junk e-mail was stuck out there in a cyber limbo. Several times while testing these programs I found myself looking over lists of the blocked messages and allowing myself a little victory laugh at their expense."